Raising Broiler chickens for meat purposes is something everyone should do. Learn how to select the best broiler breed, the right feed, and housing for your homestead. The primary benefit to homesteading is the opportunity to own your food source. 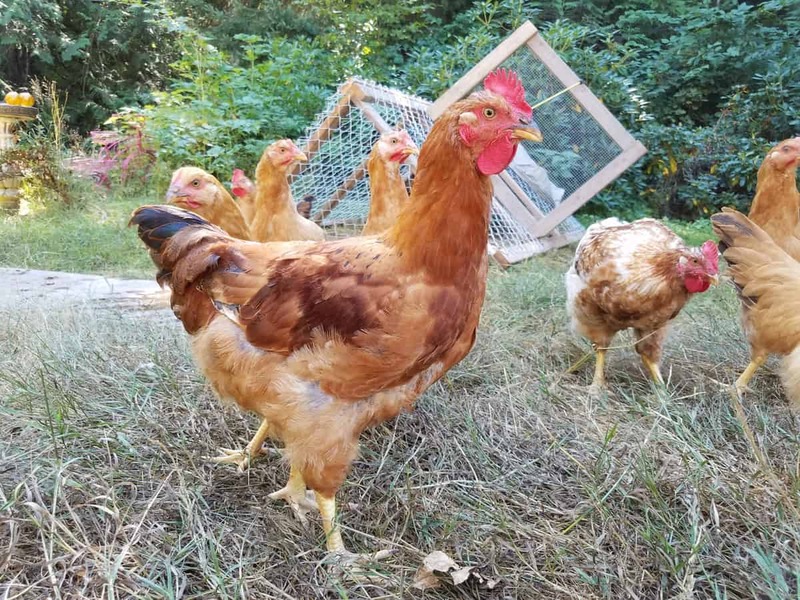 For many, owning your food source may consist of maintaining a garden, while others choose to raise laying hens. Then there are the few sustainable homesteaders who raise their own meat. Raising broiler chickens is a great beginning for those who are entering the lifestyle of sustainable living. 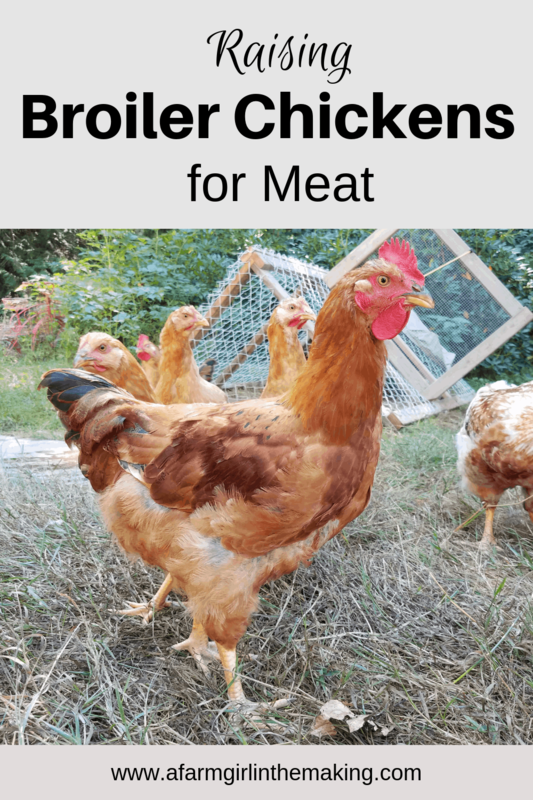 However, prior to jumping into this endeavor make sure to educate yourself on how to select the right broiler chicken variety, the best feed option, and how to set up housing. Unlike raising layer hens, this variety of chickens has a completely different regiment. Setting up a chick brooder for broiler chickens is very similar to how to set one up for laying hens. Broiler chicken breeds require a higher protein level than chicks raised for laying purposes. Much like laying hens, broiler chickens are available in a few varieties. Broiler chickens are a cross breed of a variety of chickens. Hatcheries specialize in breeding programs designed to create many popular broiler breeds. Because the breeding program is fierce it is impossible for small homesteads to reproduce a broiler chicken breed. 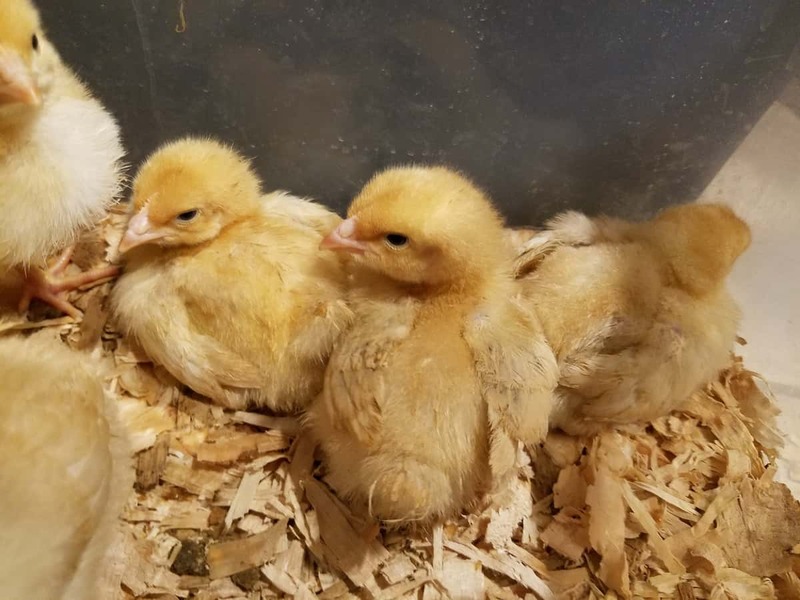 Hatcheries produce thousands of chicks yearly, and through selective breeding and heavy culling only chicks which are similar to the broiler breed are sold. Broiler chickens have the anatomy to reproduce; however, what is produced is not a true broiler chicken. 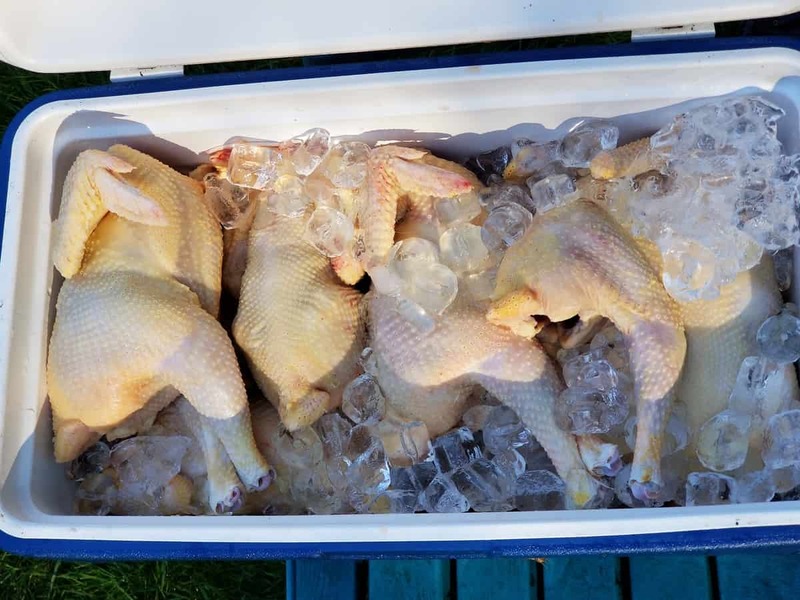 In truth, what is hatched is often a cross of some sort from the lines being bred, often not meeting the ‘standard’ requirements of a broiler chicken breed. The desire for our homestead was to raise broiler chickens which were more ‘chicken like’ in behavior and eating patterns. Unlike other broiler chicken breeds the Cornish Cross is more gluttonous and not something we desired. Also, broiler chickens tend to not be nice, and are often aggressive. This variety grows quickly. Because of this the legs and heart often give out on this breed if feed is not monitored closely. Cornish Crosses are what factory farms raise for resale to local supermarkets. A true broiler bird known to have high content of white meat. Does not free range well due to its inability to remain on its feet for long periods. However, pasture raising is a good option. Cockerels weigh in at around 6-8 pounds, hens around 4-6 pounds at butchering time. Freedom Rangers are very similar to the ‘typical’ dual purpose chicken breed. It is said that broiler birds which are classified as red meat are more flavorful. Known as a heritage broiler and contains more red meat. Is capable of free ranging and foraging for food, also does well in a tractor on pasture. Butchers around 9-11 weeks. Hens may need longer growth time. Cockerels weigh in around 6-7 pounds, hens around 5-6 pounds at butchering time. Red Rangers have very similar traits to Freedom Rangers. The only difference between the two breeds is the type of chicken breeds used to create this hybrid broiler bird. Known as a heritage broiler and red meat bird. Butchers around 10-12 weeks. Hens may need longer growth time. Cockerels weigh in around 7-8 pounds, hens around 6-7 pounds at butchering time. Though the Rolin S breed is known to be a heritage broiler breed it is similar to the Cornish Cross breed due to its ability to grow to maturity in a short period of time. 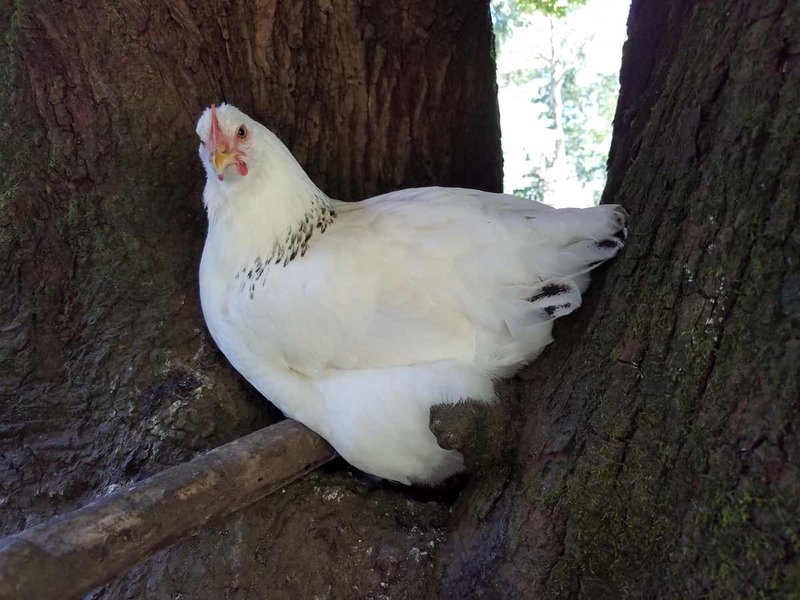 Unlike the Cornish Cross breed this variety is also known to be ‘chicken like’ and enjoys free ranging or time on the pasture. Known as a heritage breed and is a much quicker grower than Freedom & Red Rangers. Cockerels weigh in around 6-8 pounds, hens around 4-6 pounds at butchering time. Many dual purpose birds can be used for meat production. However, the Delaware is an ideal bird to raise for meat production. Prior to the introduction of what is now used as broiler birds, the Delaware was the production bird of its time. In 1952 the popularity of this breed was replaced with the hybrid variety. Excellent bird which often free ranges and forages prior to being fed. Cockerels weigh in around 6 to 8.5 pounds, hens around 5 to 6.5 pounds. Each variety listed here can be housed in a coop or in a tractor on pasture. Unlike laying hens it is not necessary to build roosting bars for broiler chicken breeds. The Cornish Cross is incapable of roosting due to its weight, though a low roosting bar for other varieties is okay. Broiler birds raised in a coop or barn setting require bedding which absorbs waste well. Because of how much feed these birds consume bedding will need to be changed regularly. Pine bedding is ideal for absorbing both waste and minimizing smells. Meat birds which are allowed to free range will often return to the coop to roost at night. Raising broiler chicken breeds on pasture is easy to achieve. Tip: design a tractor which is light in weight making it easier to move. Ideally, tractors should be moved daily in order to allow broiler chickens fresh grass to consume. The main factor in raising broiler chicken breeds is the level of protein being offered. A high protein feed allows for quick growth. However, there is no right or wrong method to feeding meat chickens. Many will provide feed 24 hours out of a day, whereas others feed based on 12 (hours) down, 12 (hours) up plan. Meaning, offer feed for 12 hours, remove feed for 12 hours before offering it again. 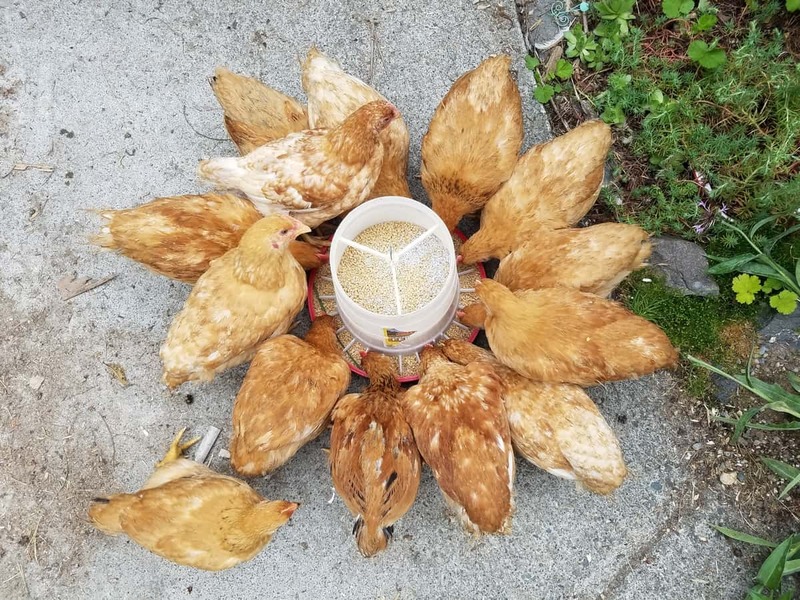 In lieu of offering a dry pellet or crumble feed, fermenting a whole grain feed is a healthier option for broiler chicken breeds. Feed Navigator shared the benefits of providing fermented feed to broiler birds. *Gamebird Starter by Purina contains an extremely high protein level. With that said, I have offered this feed for a very short period of time if no other feed is readily available. One final tip, do not wait much longer than the scheduled butchering time. The legs and and heart of most broiler chickens can not support the weight of the birds. The leg meat can become bruised, and some breeds, like the Cornish Cross, can die of a heart attack.